We design our custom bumpers based off the original bumpers Jack Virden first produced. We have continued to give them more of a modern look yet keep the classic vibe from the originals. Check out our new Baja Bumpers. Our bumpers are built from high quality steel and aluminum. This results in a very durable and long lasting product. Our in house custom bumper designs are made for all the newest trucks on the market. If we do not have the template for your vehicle we will design a bumper from scratch. 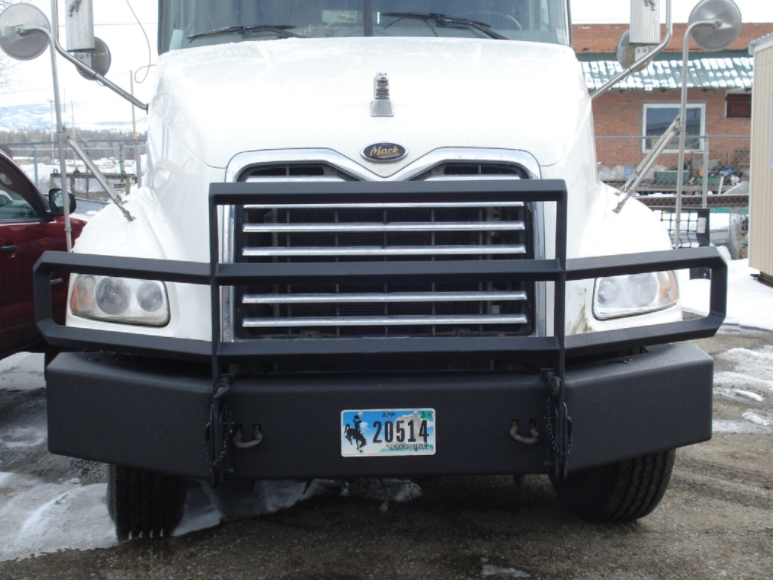 We offer bumpers for everything from semi-tractors to the smallest trucks and suv’s on the market. View our custom bumper gallery. Our skilled custom welding team can produce and finish a bumper in two business days; however, the time it takes to get yours depends on how many orders are ahead of you. We offer a variety of custom finishes from matching body paint, spry on poly liner and powder coating. All color and finish applications are done with high quality products. Protecting your vehicle from the elements. The spray on liner is only available in black but holds up very well against rock chips and scratches. We work with several body shops in the area that can paint your bumper any color that is available on the market. Quality automotive paint that stands up against the elements. Powder coating is a very durable option offered in a limited variety of colors and finishes. 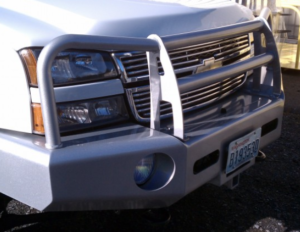 Interested in custom bumper for your truck? Please fill out this request a quote form, for a custom bumper. Or give us a call (970-824-2423).